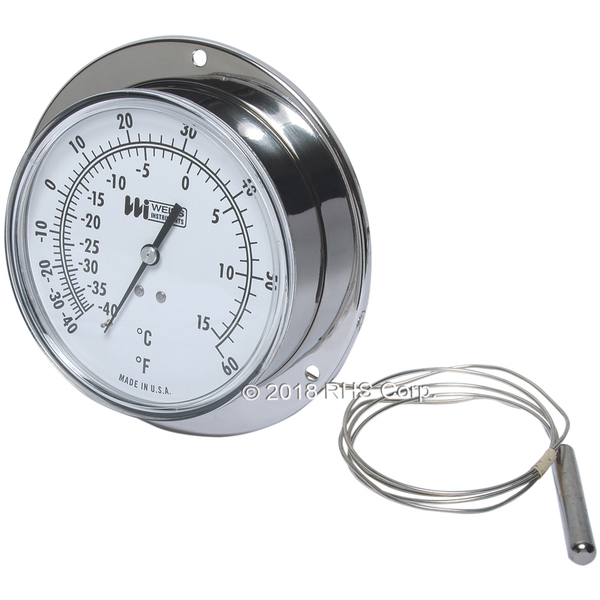 4-1/2 DIAL, REAR FLANGE MOUNTED THERMOMETER. CASE S/S WITH GLASS LENS. TEMP RANGE: -40 TO +60 F & C DUAL TEMP. 48" CAPILLARY.